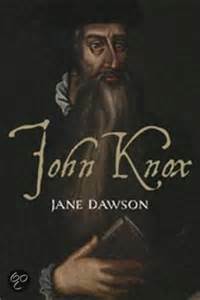 Jane Dawson, John Knox, (New Haven: Yale, 2015), 373 pages, index and notes and 8 pages of illustrations. John Knox, the Protestant Reformer of Scotland, is often portrayed as a dour masochistic preacher and an opponent of Mary, Queen of Scots. In this new biography of the Scottish Reformer Jane Dawson paints a different view of the man. She begins with a description of Knox having his first child baptized in Geneva, while he was exiled. It was a happy time of life for a man who was often depressed. But then, Knox had a rough life. George Wishart, who led Knox into the Protestant fold, was burned at the stake in St. Andrews, Scotland, only six weeks after Knox’s conversion. After the first attempt to bring reform failed in Scotland, with Mary Guise reclaiming Catholic control of Scotland, Knox found himself chained to an ore in the galley of a ship. This was a time of physical suffering from which Knox never fully recovered. After being freed, Knox went to England where he served as a pastor, but as the Catholics began to roll back some of the early reforms in England, he fled to Europe, where he met with John Calvin in Geneva and Henry Bullinger in Zurich. Knox was always a bit ornery. He fought against the prayer book of the Anglican Church, a conflict that would continue to haunt him on the continent especially during his tenure with the English congregation in Frankfurt. While in Geneva, he helped produce the Geneva Bible (an English Bible that was considered so anti-royalty that it encouraged King James to call for another translation), the Psalter, and a book on church discipline. Knox and Calvin had different views of the church. Calvin felt the true church needed two “marks”: the preaching of the Word and the sacraments. Knox added a third mark: discipline. Knox concern for church discipline and the “cleansing of the church,” reflects his black and white views, but also made him less willing to compromise. Knox could get overly zealous. When he first arrived on the continent, both Calvin and Bullinger encouraged him to cool down. Knox later returned to Scotland, having been invited by royalty who were devoted to the devoted to the Protestant. He would serve as a chaplain for the Lords of the Congregation during their fight against the Catholic forces in Scotland. This was a troubling time. Scotland was involved in a civil war. There was always a chance that France would come to the aid of Catholics in Scotland. Knox, having spent time in England, had a vision of a united Protestant island (this would come about long after his death). It was also an interesting time, as religion was not the only dividing issue. There were even Protestants who support Mary, Queen of Scots. Knox had his own battles with the English reformation (especially on the Prayer Book and vestments). The author points out how Knox’s stubbornness kept the Scottish and English Reformations separate. Another example of Knox stubbornness was his first book, a tract written against female leadership. 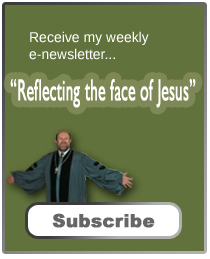 John Calvin warned against publishing this tract, suggesting he might come to regret it. The tract was primarily directed at the Catholic Marys, whom he had battled in Scotland. But his language against women leadership was so strong Queen Elizabeth (a Protestant) also detested Knox. It is this tract that normally leads people to consider Knox to be masochistic, but as Dawson points out, Knox got along well with women. He had several who served as advisers. He also loved both of his wives and was in deep grief following his first wife’s death. Bouts of depression often haunted Knox. He was constantly in fear of losing the Reformation in Scotland, a fear that was based on the political reality more than a theological trust in God. In an era where most sermons were from the New Testament, Knox often preached from the Old Testament. He saw himself as a modern day Ezekiel. His favorite book (his anchor) was the Gospel of John and at his death he asked to have the 17th Chapter of John’s Gospel. Although Knox’s preaching was strong, criticism of sermons bothered him and he took such comments personally. Later in his life, his voice was so weak that he struggled to preach (often preaching in the chapel instead of the main sanctuary). In addition to the tons of material available on Knox’s life, Dawson drew upon the papers of Christopher Goodman that have only recently been made available. Goodman and Knox worked together when they were both exiled on the Continent (working with English speaking congregations in Frankfurt and Geneva) and later in Scotland. Although Goodman left Scotland for Ireland (Knox even considered joining him there in an evangelical mission), the two remained close the rest of their lives through correspondence. This book is a great introduction to the life of John Knox and the world in which he lived. Knox is a complicated man. There were much to admire in him, as well as stuff to detest. On a political level, his view of a “united kingdom,” that would eventually come about, was prophetic. On an ecclesiastical level, his opposition to a prayer book that controlled worship and to clerical garments which he felt were too close to the Roman Catholic Mass has provided Presbyterians with freer forms and styles of worship. But his strict view of the church and discipline brought a harshness into Presbyterianism that has been hard to shake. It’s hard to put a human face on people when they’re portrayed in such dour paintings and in the context of the worst of expression of religion. I’d never even thought of Knox as a father or husband. Too bad. That was probably his best side.